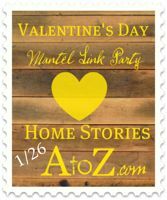 Welcome to the Valentine’s Mantel Link Party! I love to throw a good link party, but by far my mantel parties are my favorite! This year, I wanted to steer clear of traditional and come up with something lemony fresh and fun. I saw lemons on sale at the grocery store and had to have them! Even though our winter has been blessedly mild so far, I still crave sunshine, color, warmth, and summer. This mantel was a lot of fun to put together! I made the pallet sign from some old boards that were nicely weathered on the side of my house. I sanded them down, cut them with my jigsaw, and nailed them together by hand. One of the boards conveniently had a knot hole in the center, so I placed that board at the top of my sign for hanging. The LOVE letters were cut on my Silhouette and adhered to the sign with removable stenciling spray. I’m not sure what I want to paint on my sign permanently, so I wanted to be sure I could remove the letters in the future if I choose to. 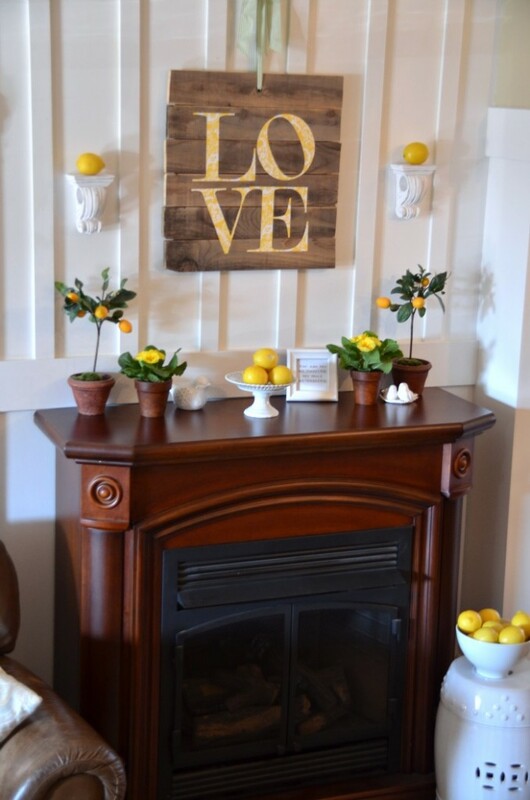 One of my favorite elements of this mantel is the little heart in the lemon that I carved with my zester. Isn’t it cute? The frame is from Target dollar spot, and I printed off a simple quote to honor all of the “sunshines” in my life. The flowers are primrose and were also a steal at the grocery store! I replanted them into some terra cotta flower pots. Originally the pots were very orange, so I rubbed them with Annie Sloan’s Dark Wax to match the pots of the Pottery Barn Outlet lemon trees. It worked like a charm! The white corbels were previously a dark cherry color until I attacked them today with some white chalk paint. I have hung onto these corbels for thirteen years and have never used them! It was time to give them a purpose. I think they are happier white, distressed, and holding some lemons. Ah…sunshine! Seriously the only thing I like about winter is that the sun is low enough to actually peek through my front window for one hour each day. Living in a cave year round, I really relish that hour! And here is one final full length shot for you! I dare say I love it :)! I love your mantel! I’m doing an un-traditional color too but won’t be done before the end of the party. I LOVE seeing all of this inspiration in one place! So fun! 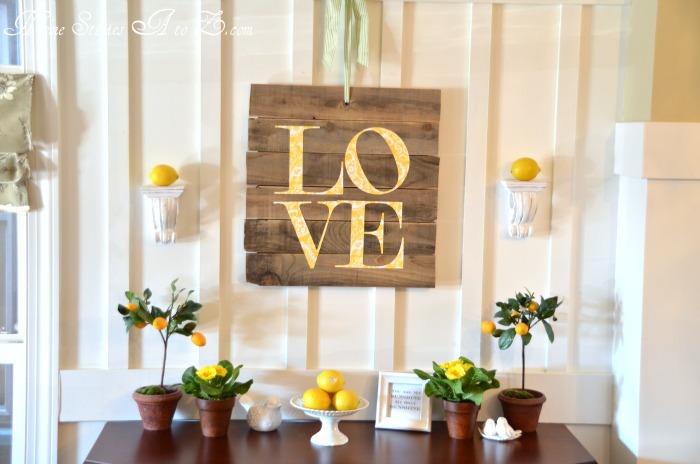 I love, love the use of lemons and yellow!!! Great ideas!!! Thanks for the inspiration to think outside the box!! Hi, I love, love your mantle. Yellow happens to be my favorite color. I wanted to ask where you got your fireplace. It looks like one that did not come with the house. I would love one that i could put in my home. Houses don’t have any in Arizona but I really miss having one. Love the linky party too!!! Love the yellow!! So cheerful. The LOVE sign is fabulous! Thank you so much for this awesome link party! I love browsing all the amazing Mantels! Oh, I forgot to add that I LOVE your mantel. I love that it’s non-traditional. And the lemons are such a fun idea. Great mantel! Love the non-traditional colors! I Love that lemon yellow take on a pink and red holiday. How fresh! I love your mantel parties Beth! Thanks for hosting!! I am excited to look through all of the beautiful links! I love your non-traditional mantel!!! It is lovely! 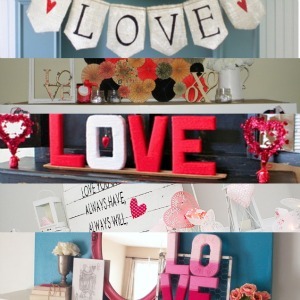 Love your LOVE sign…great idea. I have a couple of pallets sitting around just waiting for a project like this…so cute! 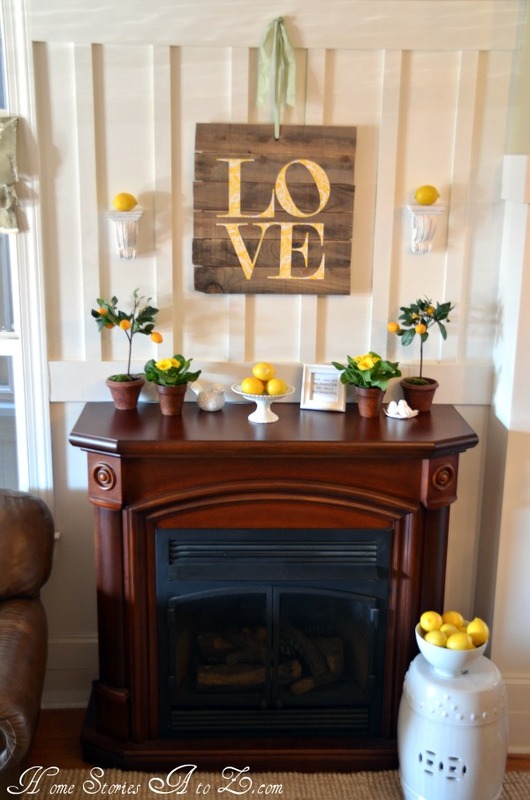 I love the yellow mantel vignette…makes me want spring. I love your mantel the use of non-traditional colors. It looks great! Thanks for hosting the party. Can’t wait to look around! I love your mantel, it’s so bright, refreshing, and warm! I woke up to rain and dark skies today–blah. I’m crossing my fingers it will pass so I can photograph my mantle and join the party, I’ve been looking forward to it all week! Nice job with the spring look! Love it and the lemons are such a cool different twist 🙂 Thanks for hosting! oh yes! i agree with everyone else…love the freshness of the yellow! so pretty! and i bet it smells good too! Your mantle is divine! So unexpected, but filled with LOVE! I can’t believe you made out heart with a zester! You are awesome! Love it Beth! I’m totally laughing because I live in San Diego and it is always sunny (no winter). So I totally went with a winter-y theme to bring a little winter into my house! Exact opposite of you bringing in the sunshine! 🙂 Thanks so much for hosting this party! My Valentines mantel from last year was featured on BHG because of your link up party! So cool! Crossing my fingers they will like my mantel this year too. I’m sure BHG and everyone else will LOVE yours! You did a fabulous job! I couldn’t get my mantle together- the red was throwing me off! But I did decorate a few other areas- a hutch, the chandy, the front door. It’s a fun holiday, so I think anything goes! Thanks for hosting. That is perfect and wonderful, Beth! You are such a creative being. Thanks for hosting. Your mantel is delicious. It makes me yearn for that big ol’ burning ball of joy that is somewhere behind all of the clouds right now. I linked my winter mantel…not exactly Valentines but I think it is “lovely.” 🙂 Hope that is ok. 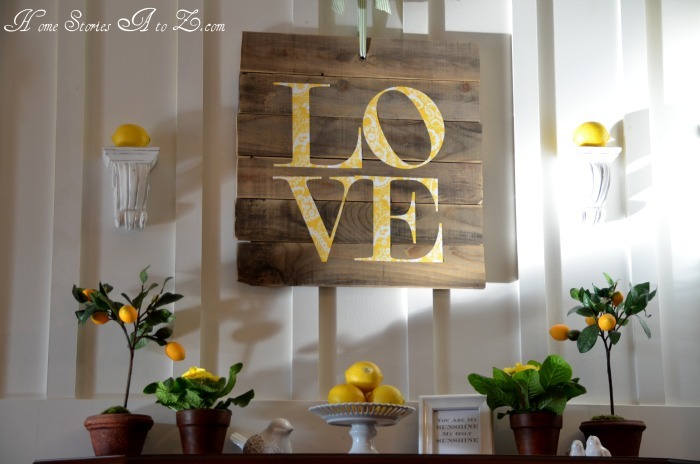 So in LOVE with your lemony, sunshiny Valentines mantel! It is precious and unique. This inspires me to remember to think outside the box more. Thank you, Beth, for hosting this LOVEly party! I always enjoy partying here at Home Stories A to Z! Beth – love your fresh spin on V-day!! I heart that carved lemon heart! Thanks for letting me link up my In Her Shoes Mantel! I love the yellow – so unexpected! Thanks for hosting and for all the great inspiration! 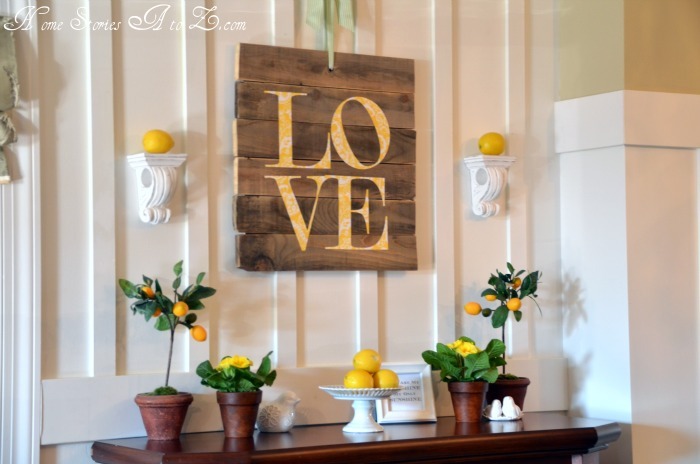 Your Mantel looks amazing…I LOVE the yellow! Thanks for hosting! Your mantel is so pretty! The yellow is brilliant!! Every time I think valentine’s day, I immediately think pink & red, but I am LOVING the yellow!! So pretty! 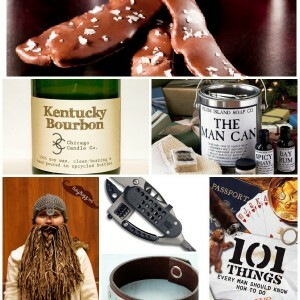 Thanks for hosting a party-it is so much fun to follow your blog, as well. I’m looking forward to decorating for Valentines Day this year, too. I LOVE your valentine mantle…So cheery & bright…a different take on valentine’s day…and I posted it to my pinterest account too! I love that you use yellow, Beth! Your mantel is lovely! Thanks so much for hosting. I can’t wait to see all of the pretty ideas. I love it! The yellow is so fresh and fun! I love your sunshine-y, fresh take on Valentine’s Day! I too love the heart in the lemon. It all looks so cute…makes me feel happy:) Thanks for hosting! Love love love the LOVE sign! Everything is so cheery. Great use of NON traditional colors. Just beautiful Beth. Thanks for hosting! It’s always so much fun. I love your Mantel Beth, so pretty! Thanks for hosting, hard to believe I am the first link up! I think that is a first for me EVA!